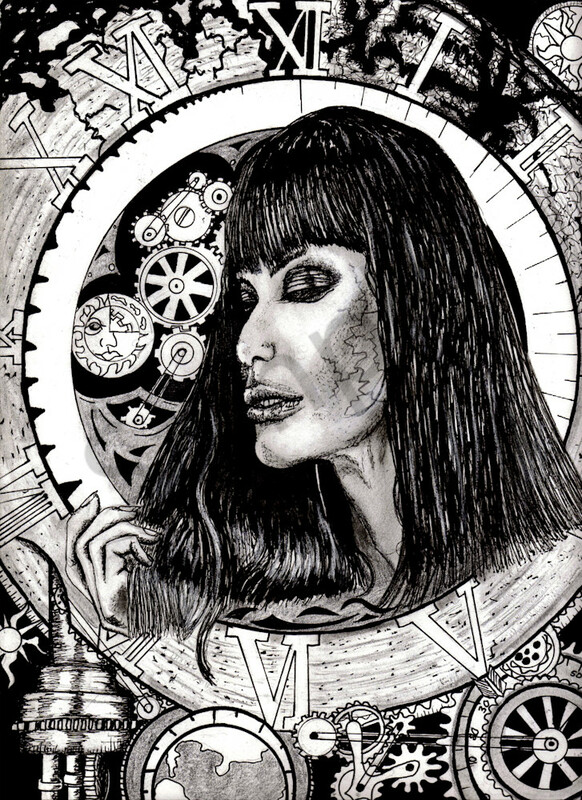 Original drawing of clock dreams. Exploring time and relativity. Woman of time, instead of father of time just to play with oppsoite concepts.